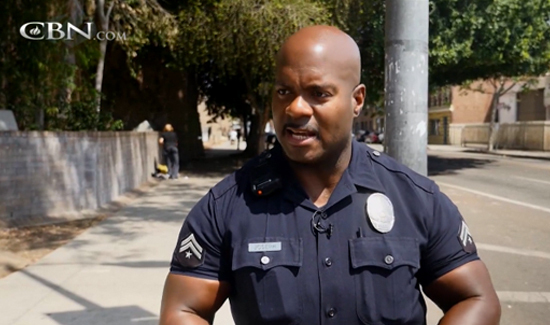 Press the play button to see what a day in the life of a Skid Row cop is really like. This is a must watch, L.A.P.D. Officer Deon Joseph is absolutely excellent in how he handles his assignment and interacts with all people on his beat and in the community.